Dr Joerg Henning is an Associate Professor in Veterinary Epidemiology at the School of Veterinary Science and the International Student Mentor and Recruitment Coordinator for the BVSc program. He has over 15 years of research experience in epidemiology and biostatistics with a focus on international animal health. He was the main operational scientist in research projects in Myanmar, Vietnam and Indonesia. He also worked as a consultant for organisations such as the FAO, World Bank, ILRI and others. His research interests included zoonotic diseases such as Highly Pathogenic Avian Influenza H5N1, infectious diseases and management of poultry, attitudes and behaviours of small-scale farmers, extension programs to improve livestock health and the spatial analysis of wildlife and livestock health data. A key focus of Dr Joerg Henning’s research is to identify sustainable and acceptable interventions to improve the livelihoods of small-scale farmers in developing countries. Playing with fire – what is influencing horse owners’ decisions to not vaccinate their horses against deadly Hendra virus infection? 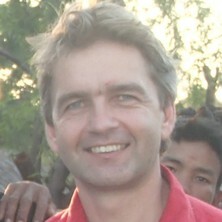 Henning, Joerg, Pym, Robert A., Hla, T., Kyaw, S., Kyaw, N., aung, K.M. and Meers, Joanne (2008) Limitations and Opportunities for Village chicken Production in Myanmar. Myanmar Veterinary Journal, 11 1: 1-13. Henning, Joerg (2017). Insurance promotes riskier behaviour – how health interventions for village chickens in Myanmar influence farmers’ perceptions on the prevention of poultry diseases. In: ANZCVS Science Week Scientific Conference 2017, Gold Coast, Australia, (). 6-8 July 2017. Dissanayake, R. B, Stevenson, M., Allavena, R. and Henning, J. (2017). The value of citizen science data for passive surveillance of wildlife. In: Proceedings of the 3rd International Animal Health Surveillance Conference: Beyond animal health surveillance. 3rd International Animal Health Surveillance Conference, Rotorua, New Zealand, (53-55). 30 April - 4 May 2017. Gonzalez-Astudillo, V., Allavena, R., Larkin, R., McKinnon, A. and Henning, J. (2016). Can passive surveillance aid in the understanding of decline of an iconic marsupial? The koala in SEQLD. In: Wildlife Society & Wildlife Disease Association Conference, Christchurch, New Zealand, (). 23-30 November 2016. Do yearlong health and management interventions for village chickens in Myanmar influence farmers’ knowledge and perceptions on the prevention of poultry diseases? Henning, Joerg, Wai, Hin Yu, Min, Wai Wai, Htun, Lat Lat, Bawm, Saw, Latt, Zin Min and Oo, Kyaw Naing (2016). Do yearlong health and management interventions for village chickens in Myanmar influence farmers’ knowledge and perceptions on the prevention of poultry diseases?. In: Congress Abstracts. One Health Ecohealth 2016: 4th International One Health Congress and 6th Biennial Congress of the International Association for Ecology and Health, Melbourne, Australia, (970-970). 3-7 December 2016. Fournié, Guillaume, Pfeiffer, Dirk U., Hoque, Ahasanul, Debnath, Nitish, Biswas, Paritosh, Giasuddin, Mohammad, Moyen, Natalie, Hog, Erling, Barnett, Tony, Gupta, Suman Das, Henning, Joerg, Hossain, Mehedi, Mangtani, Punam, Harper, David, Heymann, David and Rahman, Mahmudur (2016). Influence of human behaviour on the spread of avian influenza through the Bangladeshi poultry trade network. In: Congress Abstracts. One Health Ecohealth 2016: 4th International One Health Congress and 6th Biennial Congress of the International Association for Ecology and Health, Melbourne, Australia, (269-269). 3-7 December 2016. Pfeiffer, Dirk, Fournié, Guillaume, Hoque, Md Ahasanul, Høg, Erling, Barnett, Tony, Desmond, Chris, Biswas, Paritosh Kumar, Giasuddin, Mohammad, Moyen, Natalie, Henning, Joerg, Rahman, Mahmudur, Debnath, Nitish Chandra, Elkholly, Doaa Abdelrazeq Abdelrazeq, Carson, Marianne, Cardwell, Jackie, Chattopadhyay, Kaushik, Gupta, Suman, Harper, David, Hasan, Mahmudul, Heymann, David, Hossain, Mehedi, Mahmud, Rashed, Mangtani, Punam, Omaar, Abbas, Rahman, Mahbubur and Sarkar, Sudipta (2016). Integrating epidemiological and human behavioural research for the development of effective animal health interventions. In: Congress Abstracts. One Health Ecohealth 2016: 4th International One Health Congress and 6th Biennial Congress of the International Association for Ecology and Health, Melbourne, Australia, (1131-1131). 3-7 December 2016. Gonzalez-Astudillo, Viviana, Allavena, Rachel E., Henning, Joerg, Larkin, R. and McKinnon, A. (2016). The koala (Phascolarctos cinereus) in SE QLD: using passive surveillance to understand the decline of an iconic species. In: Bridging divides: science meets action, water meets land. 4th Oceania Congress for Conservation Biology (OCCB), Brisbane, Australia, (113-113). 6-8 July 2016. What drives rural poultry farmers to implement Avian Influenza control in Bangladesh? Gupta, Suman Das, Fournié, Guillaume, Hoque, Md. Ahasanul, Høg, Erling, Barnett, Tony, Pfeiffer, Dirk and Henning, Joerg (2016). What drives rural poultry farmers to implement Avian Influenza control in Bangladesh?. In: Congress Abstracts. One Health Ecohealth 2016: 4th International One Health Congress and 6th Biennial Congress of the International Association for Ecology and Health, Melbourne, Australia, (708-709). 3-7 December 2016. Henning, Joerg, Taylor, Matt, McKinnon, Allan and Allavena, Rachel (2015). Investigating koala declines with online tools. In: ISVEE14: Proceedings of the 14th International Symposium on Veterinary Epidemiology and Economics. International Society for Veterinary Epidemiology and Economics, Merida, Mexico, (). 3-7 November 2015. Hesterberg, U. W., Azhar, M., Wuryaningsih, E, Zenal, F. C., Utomo, G. B., Henning, J., Schoonman, L., Pudjiatmoko, P., Brum, E. and McGrane, J. (2015). Risk Factors and Potential for Risk Reduction on Urban Live Bird Markets - Results of a Multivariate Analysis of Longitudinal Environmental Surveillance in Jakarta, Indonesia. In: ISVEE14: Proceedings of the 14th International Symposium on Veterinary Epidemiology and Economics. International Society for Veterinary Epidemiology and Economics, Merida, Mexico, (). 3-7 November 2015. Myint Thein, W., Naing Oo, K., Naing Oo, L., Zaw Win, T. T., Henning, J., Campbell, A. and Poppi, D. (2014). Livestock production systems in the central dry zone of Myanmar. In: 16th Asian Australasian Animal Production, Yogyakarta, Indonesia, (). 10-14 November 2014. Gonzalez Astudillo, V., Henning, J., Hannon, C., McKinnon, A. and Allavena, R. A. (2014). Retrospective analysis of fracture epidemiology, with pathological analysis of fracture healing processes in koalas (Phascolarctos cinereus). In: ACVP 2014: American College of Veterinary Pathologists 65th Annual Meeting in conjunction with American Society for Veterinary Clinical Pathology (ASVCP) 49th Annual Meeting, Atlanta, GA, USA, (). 8-12 November, 2014. Sunwoo, W., Cook, D., Greer, R., Moses, P. and Henning, J. (2014). Surgical outcome of intervertebral disc disease patients and its prognostic indicators. In: College Science Week Scientific Conference. Australian and New Zealand Collage of Veterinary Scientists, Surfers Paradise, Australia, (). 10-12 July 2014. Avian influenza in Indonesia: who is spreading it - ducks or people? Henning, J., Pfeiffer, D., Stevenson, M., Yulianto, D., Prijono, W. and Meers, J. (2013). Avian influenza in Indonesia: who is spreading it - ducks or people?. In: Australian and New Zealand College of Veterinary Scientists: 2013 College Science Week Scientific Meeting. Epidemiology Chapter proceedings. ACVSc College Science Week: Scientific Conference 2013, Surfers Paradise, QLD, Australia, (17-17). 11-13 July, 2013. Tizzani, Paolo, Pötzsch, Carsten J., Henning, Joerg, Šašić, Srdjan, Viviani, Paolo and Hrapović, Mevlida (2013). Open source Geographic Information System in the management of oral anti-rabies vaccination of foxes in Montenegro. In: GEEFSM Conference Abstracts. 31èmes Rencontres du GEEFSM, Canillo, Principauté d’Andorre, (). 14-16 June, 2013. Pfeiffer DU, Sauter-Louis C, Henning J, Stoll A, Nielen M, Schouten M, Van Schaik G, Smolenaars A, Fourichon C, Guatteo R, Madouasse A, Deprez P, De Vliegher S, Laureyns J, Jones B, Booth R and Cardwell J (2012). A multi-country epidemiological investigation of bovine neonatal pancytopenia (BNP). In: ISVEE13: Proceedings of the 13th International Symposium on Veterinary Epidemiology and Economics: book of abstracts. International Society for Veterinary Epidemiology and Economics XIII, Maastricht Netherlands, (157-157). 20-24 August 2012. Pötzsch, C. J., Henning, J., Pejović, N., Tizzani, P., Filipović, G., Šašić, S., Viviani, P. and Hrapović, M. (2012). Rabies in Montenegro: transboundary disease control from a small country’s perspective. In: International Symposia on Veterinary Epidemiology and Economics proceedings, ISVEE13: Proceedings of the 13th International Symposium on Veterinary Epidemiology and Economics: Book of abstracts. 13th Conference of the International Society for Veterinary Epidemiology and Economics (ISVEE XIII), Maastricht, Netherlands, (144-144). 20-24 August 2012. Henning, J., Priyono, W., Yulianto, D. and Meers, J. (2012). What promotes the circulation of HPAI H5N1 in Indonesia: a descriptive analysis of a network of moving duck farmers, rice paddy owners, duck transporters and hatcheries. In: International Symposia on Veterinary Epidemiology and Economics proceedings, ISVEE13: Proceedings of the 13th International Symposium on Veterinary Epidemiology and Economics: Book of abstracts. 13th Conference of the International Society for Veterinary Epidemiology and Economics (ISVEE XIII), Maastricht, Netherlands, (208-208). 20-24 August 2012. Henning, J. and Bett, B. (2012). Why did H5N1 HPAI disappear from Nigeria? - Incidence and transmission characteristics of H5N1 HPAI outbreaks 2005-2008 in Nigeria. In: Proceedings of the 13th International Symposium on Veterinary Epidemiology and Economics. International Society for Veterinary Epidemiology and Economics XIII, Maastricht Netherlands, (365-365). 20-24 August 2012. Henning, Joerg, Wibawa, Hendra, Yulianto, Didik, Junaidi, Akhmad and Meers, Joanne (2011). Incidence and risk factors of Highly Pathogenic Avian Influenza (HPAI) infection in smallholder, village-based duck flocks in Indonesia. In: Society for Veterinary Medicine and Preventive Medicine Annual Conference (SVEPM 2011), Leipzig, Germany, (). 23-25 March 2011. Henning, J., Priyono, W., Yulianto, D., Junaidi, A. and Meers, J. (2011). The role of rice paddy owners, transporters of ducks and hatcheries in influencing the spread of Highly Pathogenic Avian Influenza (HPAI) virus in Indonesia. In: Society for Veterinary Medicine and Preventive Medicine, 2011 Annual Conference (SVEPM 2011), Leipzig, Germany, (). 23-25 March 2011. Henning, Joerg, Wibawa, Hendra, Yulianto, Didik, Junaidi, Akhmad and Meers, Joanne (2011). Understanding the management of smallholder, village-based duck flocks in Indonesia –opportunities for Highly Pathogenic Avian Influenza (HPAI) control. In: Society for Veterinary Medicine and Preventive Medicine, 2011 Annual Conference, Leipzig, Germany, (). 23-25 March 2011. Are scavenging ducks a biosecurity risk for HPAI spread and infection? Meers, Joanne, Henning, Joerg, Henning, Kate, Wibawa, Hendra and Vu, Le Tri (2010). Are scavenging ducks a biosecurity risk for HPAI spread and infection?. In: Global Biosecurity 2010: Safeguarding Agriculture and the Environment Conference Handbook. Global Biosecurity 2010: Safeguarding Agriculture and the Environment, Brisbane, Qld, Australia, (51-52). 28 February - 3 March 2010. Wibawa, Hendra, Nuradji, Harimurti, Henning, Joerg, Bingham, John, Wong, Frank, Lowther, Sue, Payne, Jean, Rookes, Jenni and Meers, Joanne (2010). Characterisation of Indonesian H5N1 isolates to understand the prolonged infection and spread of H5N1 among domestic poultry. In: Threats and Impacts Stream Abstracts. Global Biosecurity Conference, Brisbane, Australia, (). 28 February - 3 March 2010. Henning, Joerg and Meers, Joanne (2010). How to convey epidemiology when farmers can’t read or write? - Experiences on poultry extension in work in Myanmar. In: Australian College of Veterinary Scientists Science Week 2010, Surfers Paradise, Australia, (). 1-3 July 2010. Wibawa, H., Wong, F., Bingham, J., Davies, K., Stevens, V., Pye, T., Ha, W., Lowther, S., Selleck, P., Henning, J., Junaidi, A., Middleton, D., Daniels P and Meers, J. (2009). Diversity of the hemagglutinin and neuraminidase genes from Indonesian H5N1 highly pathogenic avian influenza (HPAI) virus isolates. In: 5th Australian Virology Group Meeting, Lorne, VIC, Australia, (). 13-17 December 2009. Henning, J., Wimbawa, H., Henning, K., Morton, J. and Meers, J. (2009). Prevalences of Highly Pathogenic Avian Influenza (HPAI)antibodies and H5 virus in small-scale commercial and backyard free-ranging duck enterprises in south east Asia. In: International Symposia on Veterinary Epidemiology and Economics (ISVEE) proceedings, ISVEE 12. 12th Symposium of the International Society for Veterinary Epidemiology and Economics ISVEE 12, Durban, South Africa, (53-53). 9-14 August 2009. Henning, J., Henning, K. A., Pfeiffer, D. U., Morton, J. and Meers, J. (2009). Risk factors associated with highly pathogenic avian influenza outbreaks in the Mekong Delta of Viet Nam in the face of vaccination programs. In: ISVEE 12: Proceedings of the 12th Symposium of the International Society on Veterinary Epidemiology and Economics. 12th Symposium of the International Society on Veterinary Epidemiology and Economics (ISVEE12), Durban, South Africa, (213-215). 9-14 August 2009. Henning, J., Henning, K., Vu, Le Tri, Yulianto, Didik and Meers, J. (2009). The role of moving duck flocks in the spread of Highly Pathogenic Avian Influenza (HPAI) virus in Vietnam and Indonesia. In: International Symposia on Veterinary Epidemiology and Economics (ISVEE) proceedings. 12th Symposium of the International Society for Veterinary Epidemiology and Economics ISVEE 12, Durban, South Africa, (30-30). 9-14 August 2009. Meers, Joanne, Henning, Joerg, Wibawa, Hendra, Purnomo, Putut, Henning, Kate, Ha, Nguyen Truc and Long, Ngo Thanh (2008). Epidemiology of highly pathogenic avian influenza (HPAI) in ducks in Indonesia and Vietnam. In: M. Revington, AVA Annual Conference. AVA Annual Conference, Perth, Australia, (x-x). 25-30 May 2008. Henning, Joerg, Wibawa, Hendra, Purnomo, P., Hall, Kate, Ha, T., Long, N.T., Sunn, K. and Meers, Joanne (2008). Maintenance and Transmission of Highly Pathogenic Avian Influenza virus in Backyard and Small-scale Commercial Poultry Production Systems in South-East Asia. In: Robert A. Pym, XXIII World’s Poultry Congress 2008. XXIII World’s Poultry Congress 2008, Brisbane, Australia, (x-x). 30 June - 4 July 2008. Henning, J., Wibawa, H., Purnomo, P. D., Henning, K., Truc, Ha, Long, N. T. and Meers, J. (2008). The epidemiology of highly pathogenic avian influenza (HPAI) in ducks in Indonesia and Vietnam: Investigations into the maintenance and transmission of HPAI in backyard and small-scale commercial duck farms. In: Conference on Research Activities on Avian Influenza and Other Transboundary Animal Diseases in South-East Asia, Bangkok, Thailand, (10-10). 21-22 January 2008. Henning, J., Hla, T. and Meers, J. (2007). Outcomes and lessons from a smallholder poultry health project in Myanmar. In: Proceedings of the 8th Asian Pacific Poultry Conference. Asian Pacific Federation Working Group Symposium on Small-Scale Family Poultry Farming in Developing Countries at the 8th Asian Pacific Poultry Conference., Bangkok, Thailand, (34-38). 5-6 March, 2007. Henning, J, Morton, J M, Meers, J and Hla, T. (2006). Assessing incidence rates of mortality adjusted for unobserved deaths among free-ranging village chickens. In: 11th International Symposium on Veterinary Epidemiology and Economics. 11th International Symposium on Veterinary Epidemiology and Economics, Cairns, Queensland, Australia, (4.3.4-4.3.4). 6-11 August 2006. Henning, J., Morton, J. M., Hla, T. and Meers, J. (2006). Controlled trials to assess effects of Newcastle disease vaccination and management changes in village chickens in Myanmar. In: 11th International Symposium on Veterinary Epidemiology and Economics. 11th International Symposium on Veterinary Epidemiology and Economics, Cairns, Queensland, Australia, (3.1.1-3.1.1). 6-11 August 2006. Henning, J., Meers, J., Morton, J. M. and Hla, T. (2005). Village chicken production in Myanmar - characteristics, constraints and methods for improving the health and production of village chickens. In: Proceedings of the International Conference on The Opportunities for village chickens to assist with poverty alleviation with special emphasis on the sustainable control of Newcastle disease. International Conference on The Opportunities for village chickens to assist with poverty alleviation with special emphasis on the sustainable control of Newcastle disease, Dar es Salaam, Tanzania, Africa, (). 5-7 October 2005. Henning, J., Meers, J., Pym, R. A., Rutherford, A. S. and Hla, T. (2004). Newcastle disease and major constraints to village chicken production in Myanmar. In: Aust. Veterinary Poultry Assoc., 5th Asia Pacific Poulry Health Conference. 5th Asia Pacific Poultry Health Conference, Surfers Paradise, Queensland, (84-84). 21-22nd April 2004. Henning, J., Heuer, C. and Meers, J. (2003). Attitudes of farmers to rabbit haemorrhagic disease and other methods to control wild rabbits in New Zealand. In: Proceedings of the 10th International Symposium on Veterinary Epidemiology and Economics (ISVEE 10). 10th International Symposium on Veterinary Epidemiology and Economics (ISVEE 10), Vina del Mar, Chile, (). 17-21 November, 2003. Rabbit Haemorrhagic Disease Virus in New Zealand - should wild rabbits be concerned? Henning, J., Davies, P.R., Meers, J., Pfeiffer, D. and Morris, R. (2003). Rabbit Haemorrhagic Disease Virus in New Zealand - should wild rabbits be concerned?. In: Proceedings of Epidemiology and Animal Health Management Branch Seminar, NZVA. Epidemiology and Animal Health Management Branch Seminar, Palmerston North, NZ, (67-69). 10-11 April 2003. Henning, J., Davies, P. and Meers, J. (2003). Survival of rabbit haemorrhagic disease virus in the environment and the fole of inactivated virus in stimulating protective immunity in wild rabbits. In: 3rd International Wildlife Management Congress. 3rd International Wildlife Management Congress, Christchurch, NZ, (454-454). 1-5 December 2003. Henning, J., Davies, P. and Meers, J. (2003). Temporal and spatial population dynamics of rabbit haemorrhagic disease virus in a sparse rabbit population in New Zealand. In: 3rd International Wildlife Management Congress. 3rd International Wildlife Management Congress, Christchurch, NZ, (454-454). 1-5 December 2003. Meers, J., Henning, J. and Davies, P. (2003). The ability of rabbit haemorrhagic disease virus to survive under field conditions in New Zealand. In: 2nd Australian Virology Group Meeting, Kingfisher Bay Resort, Fraser Island, (). 2-6 December, 2003. Henning, J., Davies, P. R. and Meers, J. (2003). The survivability of Rabbit haemorrhagic disease virus under field conditions in New Zealand. In: Proceedings of the 10th International Symposium on Veterinary Epidemiology and Economics (ISVEE 10). 10th International Symposium on Veterinary Epidemiology and Economics (ISVEE 10), Vina del Mar, Chile, (). 17-21 November, 2003. Controlling and monitoring emerging zoonoses in the poultry farming and trading system in Bangladesh: an interplay between pathogens, people, policy. KoalaBASE - standardised diagnostic procedures and epidemiological approaches, enhancing passive surveillance of SEQLD koala disease.